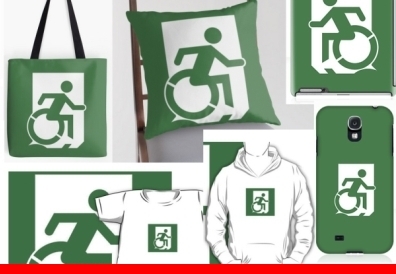 The introduction of the ‘Accessible Means of Egress Icon’, or ‘Wheelie Man’ (as it has lovingly become known by all those involved in the project) onto accessible exit signage changes the current discriminatory approach to exit signs in buildings and presents a fully inclusive design. The Combined ‘Running Man’ and Accessible Means of Egress Icon are working together to escape the building. They move in unison. They display the same urgency and motion. They appear to be travelling at the same speed. This is an inclusive design. The heads on both figures are forward, showing their haste. Arms are extended and motioning back and forth as they move through the doorway. The Accessible Means of Egress Icon is consistent in design with the ‘Running Man’.  The ‘Accessible Means of Egress Icon’ design is also consistent the figures shown within ISO 7001 and the ISO International Language of Graphical Symbols Booklet, including the ‘Running Man’.